No Pain, No Surgery, No Discomfort! Improve all areas of the body. The Slim Sulpt Medical Bed produces amazing results in reduction of unwanted fat on the stomach, back, hips, thighs, buttocks, and chin. 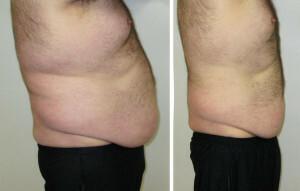 It helps reduce the stubborn unwanted fat using an advanced system of infra-red and red light therapy. LED-based light therapy has been effectively used for decades to improve appearance. Contour Light is the most innovative design available, delivering more light energy than any other system in this category. Patients typically experience a reduction from 2 to 5 inches, with some patients seeing an even greater change. The larger the patient, the more measurable the results will be. The treatment is totally non-invasive; no surgery or downtime. 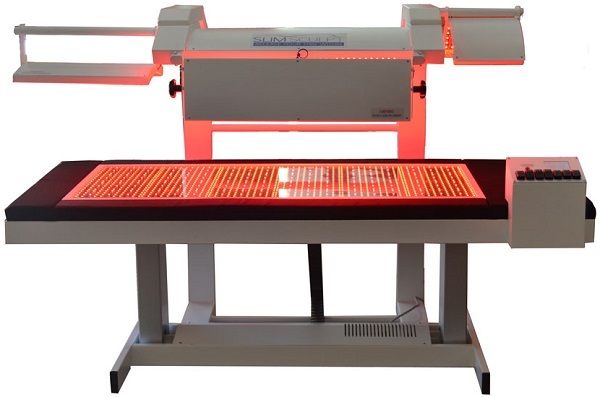 Contour Light’s 635nm LEDs deliver energy at a very high volume, but there is no heat involved due to the system’s proprietary “heat-sink” technology, which draws the heat away from the patient’s skin. There is no pain or discomfort. 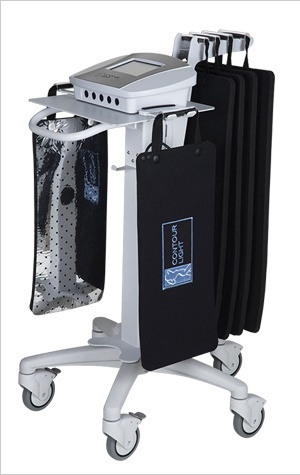 The Contour Light pads are large, soft and flexible and can be safely used on virtually every part of the body: neck, back, arms, chest, abdomen, buttocks and thighs. Clinical studies show that when a fat cell is exposed to 635nm red light, the cell would release 99% of its contents within just a few minutes, leaving the cell deflated much like when a balloon releases its air. The light stimulates the mitochondria of the fat cell in a process called photobiostimulation, causing the cell wall to open and allow the cell contents to escape. Additional clinical studies show that patients experienced significant inch loss caused by exposure to this light alone. “I used the Contour Light 3 times a week for a month. After the first week, I noticed my clothing was getting loose. After my final visit, I was down 18 inches. I needed new clothing because all my clothes were sagging. I would recommend it to anyone desiring a change in their shape and willing to follow the protocols. It’s been well worth it!” – Chris M.